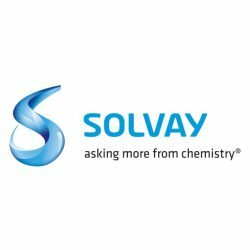 Last Friday, Belgian chemicals company Solvay announced that it will build the group’s largest innovation and cutting-edge technology center in Lyon. With this investment, of over 100 million euros, the group’s ambition is to become the world leader in advanced materials and specialty chemicals. The center will develop innovative chemistry focuses on energy, advanced materials and cutting edge formulations. The company’s various teams are currently based in Saint Fons (69) Collonges (01) and Auberviliiers (92), and will relocate to this new 14-hectare site, which has been completely redesigned in Saint Fons. Eventually one thousand employees will work on this site. Alongside this project based in the heart of Chemistry Valley, by 2021, Solvay plans to bring its business teams (700 people) -currently scattered between Paris, Aubervilliers and Lyon- together at a single business center, also located in the Lyon metropolitan area. “Located in the cradle of the French chemicals industry, Solvay’s new Innovation and Technology Center will be ideally located to develop our strategic research in Europe. On this site, a symbol of Solvay’s transformation, our teams will develop partnerships with our customers, from idea to application, including industrialization and long-term developments. As such, the centre will be a source of inspiration for our international innovations.” Jean-Pierre Clamadieu, CEO of Solvay. To achieve this large-scale project that is “bioclimatic” and “flexible”, Solvay has chosen a French consortium of seven companies led by the architecture firm Patriarche. It will be built around a lively inner street connecting the main the building’s main hubs, imitating the style of Barcelona’s Rambla. With its own park, the site will showcase Lyon’s chemicals industry south of the city. 80% of existing buildings on this 17-hectare site will be destroyed. The work at Saint-Fons should take place between 2019 and 2022.